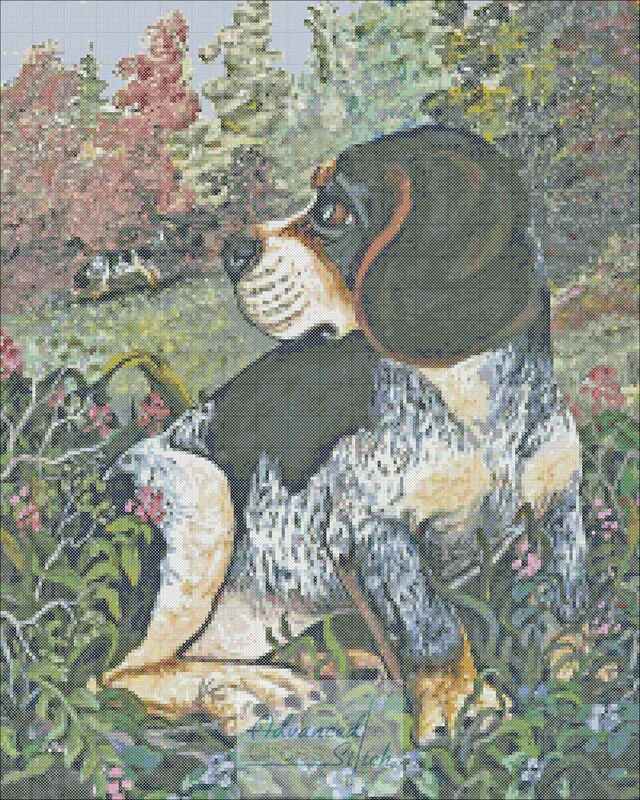 Here is the Plott Hound another amazing piece of artwork by Kelley Kay Badgerow. This chart is 225×281 stitches and contains 67 stitches. 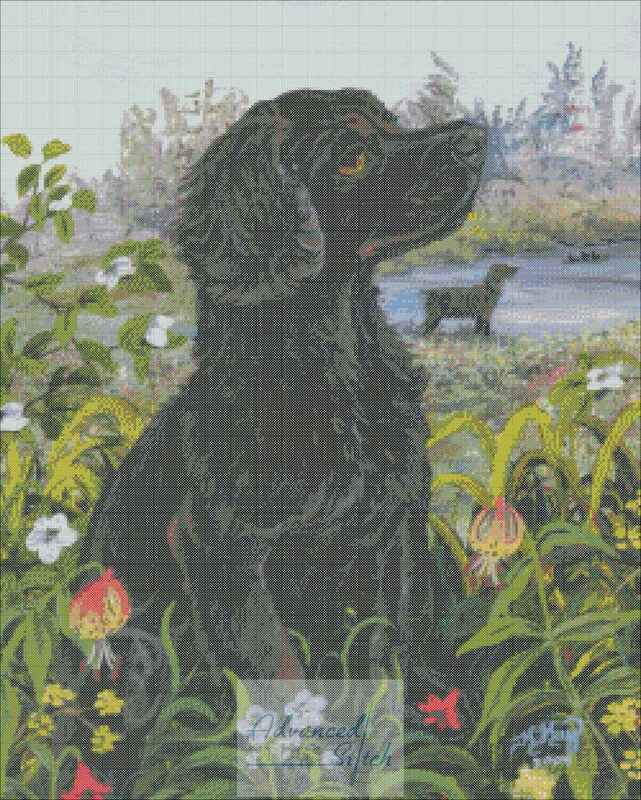 You’ll love the look of a painting in your cross stitching. Original Artwork by Kelley Kay Badgerow. 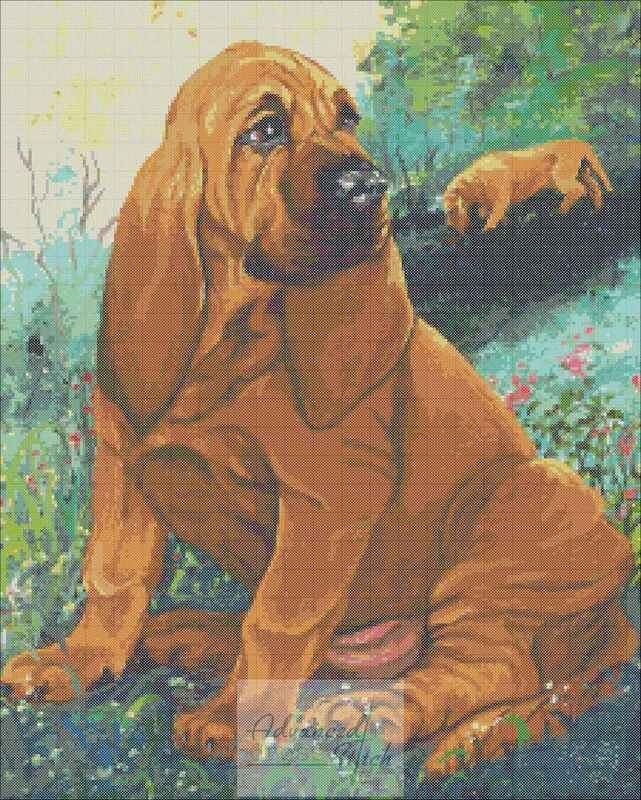 Here is an elegant chart featuring a painting of the Red Bloodhound. This chart is 225×281 stitches and contains 44 colors. Original Artwork by Kelley Kay Badgerow. 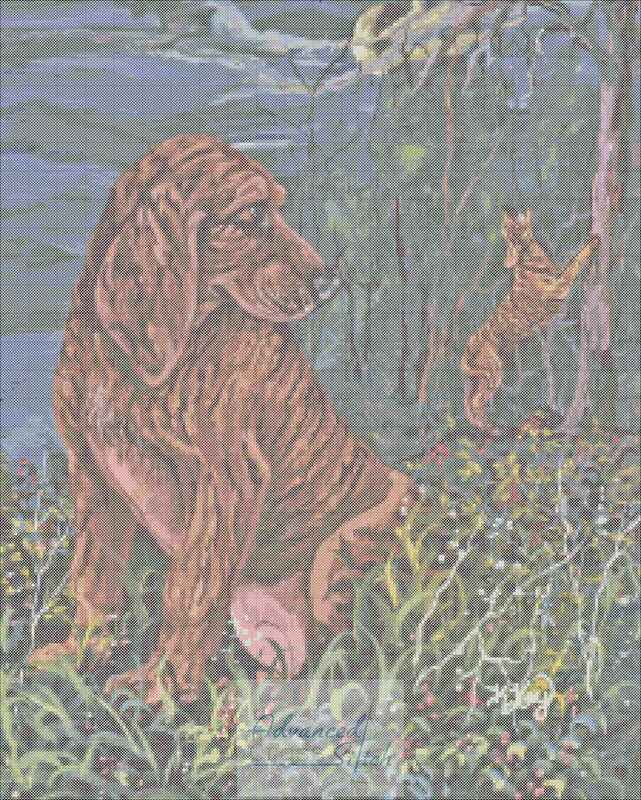 Our favorite dog howl has to be that of the beagle. Here is a painting of this awesome hunter. This chart is on the complex side, there are a lot of color changes here. 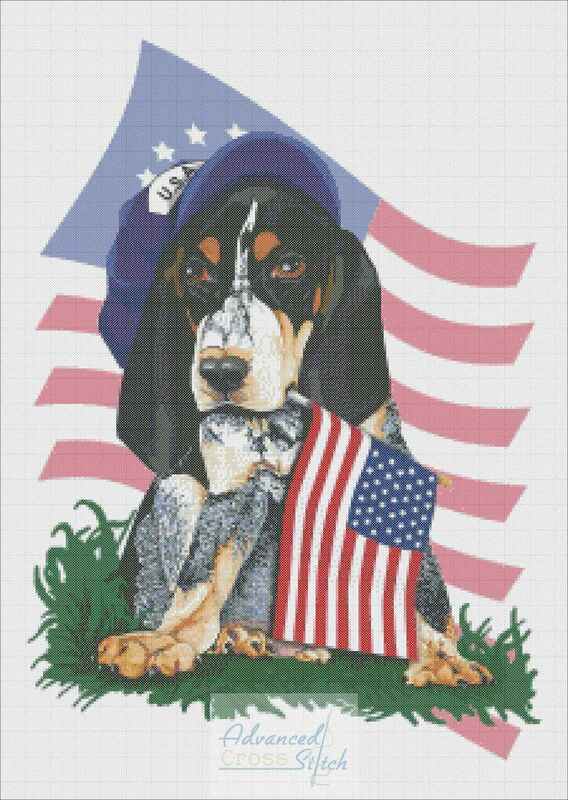 It is 200×250 stitches and contains 75 colors.